SONOMA, Calif. -- Investigators are still trying to piece together how a murder victim and suspect knew each other and what led to a gruesome killing. Sonoma police have arrested 40-year-old Christopher McNatt. 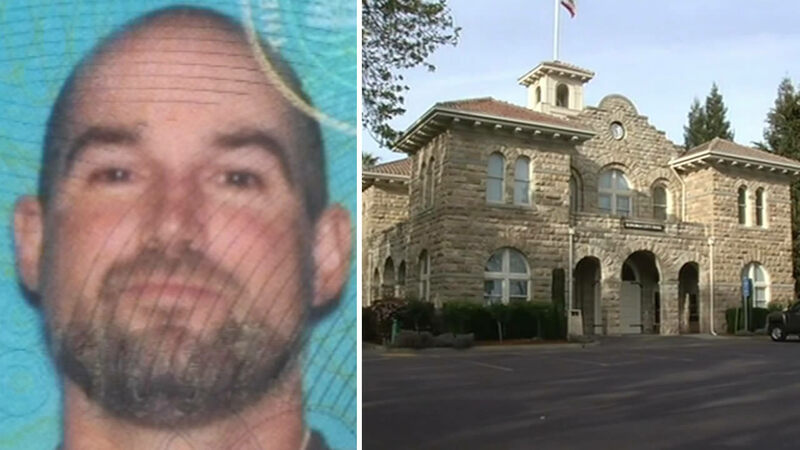 They believe he killed 64-year-old Ronald Gordon Sauvageau, stuffed his body into a plastic barrel, and left the barrel on the steps of Sonoma City Hall on Friday night. ABC7 News talked with Dana Hamilton, who says she used to date the suspected killer. "I'm just shocked, there's just no reason for this," she said. "I mean, he's not a violent person. I'm just trying to catch my breath, it just really seems so surreal right now." The investigation led authorities to the Acacia Grove Mobile Home Park on Highway 12 in Sonoma Valley. Deputies have determined Sauvageau was killed in one of the mobile homes. McNatt is being held in county jail without bail. He's scheduled to make his first court appearance Tuesday.